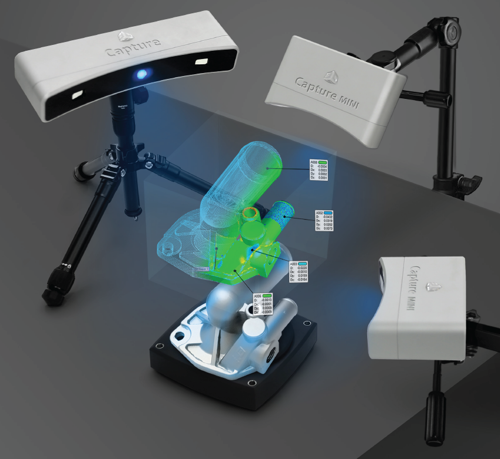 3D Systems Capture 3D Scanner is a great portable solution for scanning small objects. This blue light scanner can be hand-held, static and easily combined into a multi-scanner configuration. The entire solution including hand free turntable conveniently fits in a carry-on case approved for cabin luggage. Supports scanning direct into SOLIDWORKS and transfers 3D data to other mainstream MCAD platforms.